Just 2 months since its release, the new fifth edition of The Official Scrabble Players Dictionary is coming under fire for omissions, inconsistencies, and spelling mistakes. 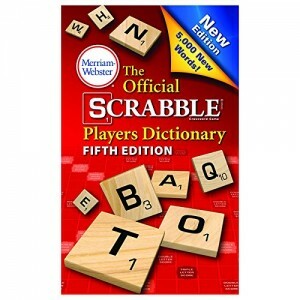 The problem appears to have originated with communications between the North American Scrabble Players Association (NASPA) and Merriam-Webster. NASPA maintains the Official Tournament and Club Word List (OTCWL), which is used in judging tournament games in the United States and Canada. Merriam-Webster publishes The Official Scrabble Players Dictionary for casual use, removing from the OTCWL trademarked terms and words deemed offensive. NASPA’s Dictionary Committee expected Merriam-Webster to exercise editorial oversight of the draft word lists that it sent to the publisher. However that step may have been skipped. As a result, the Dictionary includes “disrepects” and “disrepecting” but not “sez” or “xed”, which are part of the OTCWL. Other problems have been cataloged by the Seattle Scrabble Club. With questions about the quality of these word lists, perhaps the bigger problem is availability for reference and research. Hasbro has claimed copyright to the OTCWL and restricted access to NASPA members.